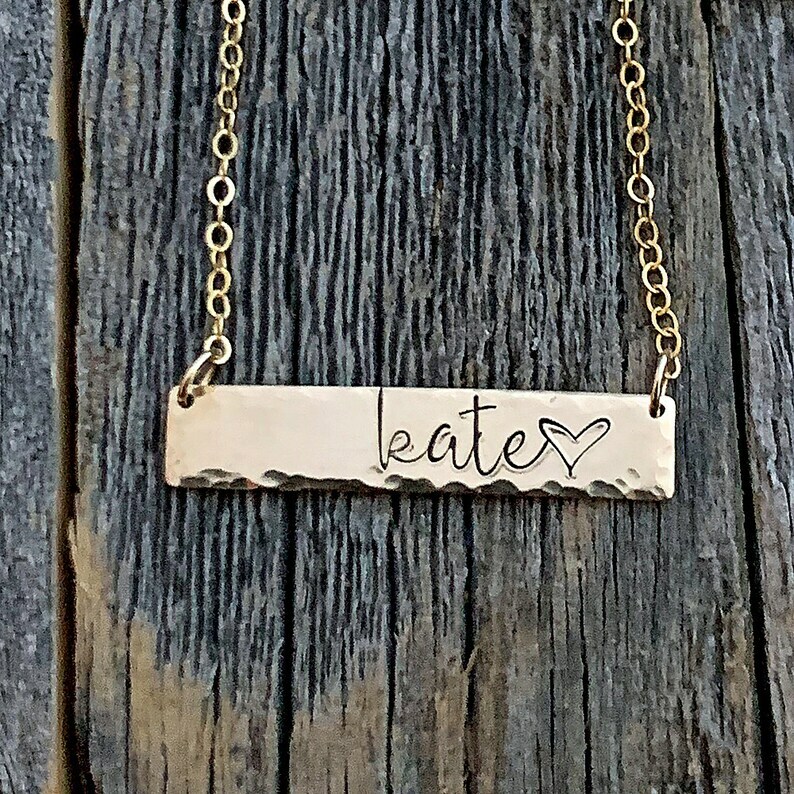 This simple yet beautiful 14 K gold-filled personalized bar necklace is perfect for everyday wear. 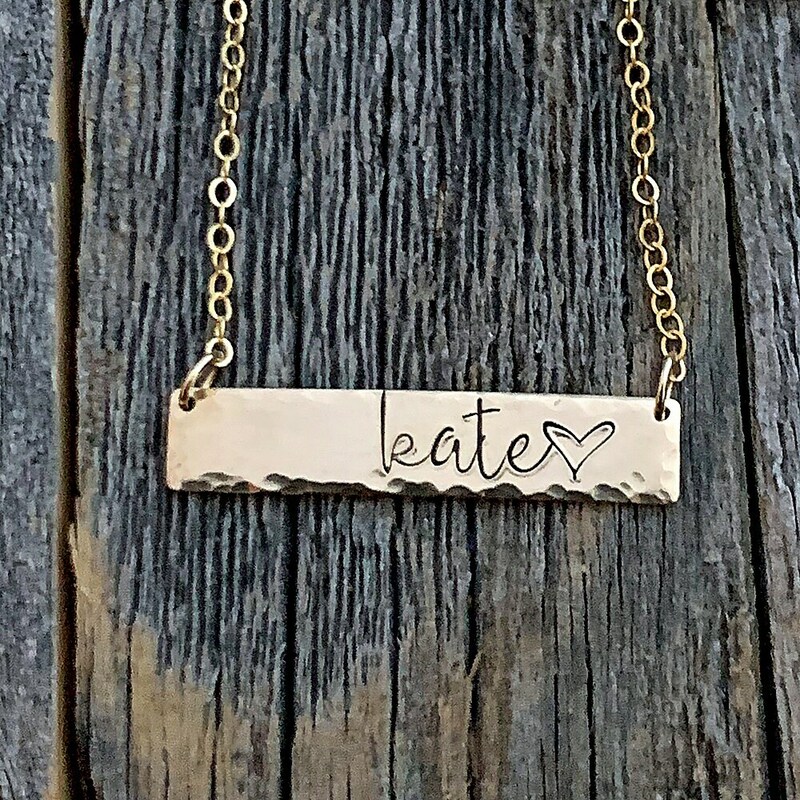 The bar is hammered around the edges and is hand stamped with your name and a small heart. 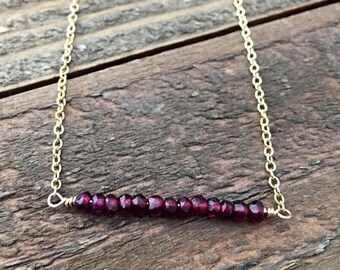 The horizontal bar measures 1 1/4” long by 1/4" wide and hangs from a dainty 14 K gold-filled cable chain with a 14 K gold-filled spring clasp. Necklace length is available in 16", 17" and 18". 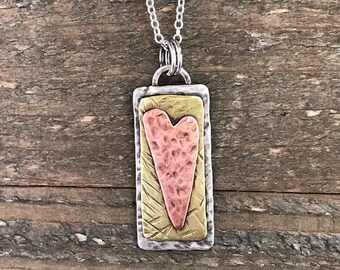 Please choose necklace length from the drop-down menu at checkout. Short names will be right justified; longer names will be centered. Each letter is stamped by hand. Alignment, spacing, and depth of characters will vary from piece to piece, adding to the beauty and character of your handmade jewelry. This piece is made from all 14 K gold-filled components and is not plated. It will not tarnish.